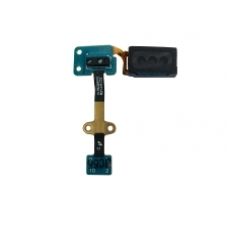 This replacement part contains the proximity sensor, light sensor and earpiece speaker for your Galaxy Tab 2 7.0 GT-P3100 models ONLY. If this part fails then the screen will not automatically turn off when receiving phone calls and placing the handset to your ear. * Contains the Proximity Sensor, Light Sensor and Earpiece Speaker. * Suitable for GP-3100 frame / GT-P3100 Model Only.